Users on Facebook will soon be making more choices about their privacy, the company says. Facebook CEO Mark Zuckerberg listens to opening statements while testifying before a Senate Judiciary and Commerce Committees joint hearing regarding the company's use and protection of user data on Capitol Hill in Washington, D.C., April 10, 2018. Facebook users in Europe and Canada will for the first time be able to opt into the network's facial recognition technology, which has been available in most other parts of the world for the past six years, the company says. Facebook is enhancing privacy safeguards for users around the world as it complies with new European rules designed to make it easier for consumers to give and withdraw consent for the use of their data. The company is introducing the new policies this week in Europe, but eventually everyone on the social network will be asked to decide whether they want to enable features like facial recognition and some types of targeted advertising, the company said in a blog post. The announcement comes as Facebook struggles with the fallout from revelations that a data analytics firm misused personal information from as many as 87 million Facebook accounts to help Donald Trump's 2016 presidential campaign. The European Union next month will begin enforcing its new General Data Protection Regulation, which explicitly applies to any company that uses the data of EU residents, no matter where it is based. The privacy law is the latest attempt by EU regulators to rein in mostly American tech giants who they blame for avoiding tax, stifling competition and encroaching on digital privacy rights. The EU says the rules are the most important change in data privacy regulation in a generation as it tries to catch up with technological advances since 1995, when the last comprehensive rules were approved. The EU rules require consent forms to be written in plain language anyone can understand, as the EU targets the legalese buried in pages of terms and conditions that few users actually read before clicking "I Agree.'' The regulations also require that consent must be as easy to withdraw as it is to give. Users will also be asked whether they want to allow Facebook to use data from partners such as apps and websites to tailor the ads they see, and whether they want to share political, religious or relationship information from their profiles. "We not only want to comply with the law, but also go beyond our obligations to build new and improved privacy experiences for everyone on Facebook,'' the company said. 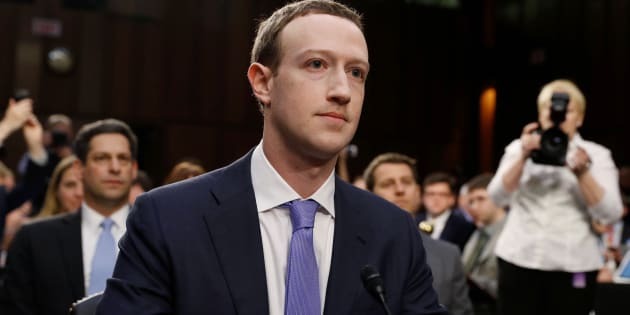 Meanwhile, the European Parliament renewed its call for Facebook CEO Mark Zuckerberg to testify about the data privacy scandal, after Zuckerberg offered to send a subordinate in his place.